Special Adviser to President Muhammadu Buhari on Political Matters, Babafemi Ojudu, has said leader of the Indigenous People of Biafra, IPOB, Nnamdi Kanu was not invited for the meeting with the Acting President, Yemi Osinbajo because he is not considered as a South-East leader of thought. Osinbajo had last week met with some leaders of the South-East over issues of agitation from the region and quit notice Arewa youths issued Igbos to vacate North but Kanu was missing. Speaking on Sunday, Ojudu said, “Well, the thing is that we were looking for leaders of the people, leaders of thought and we do not see him as a leader of thought in the east. “May be opportunity will come at one time or the other for him to be engaged. The Presidential aide disclosed that the agitation for secession and calls for referendum being pushed by IPOB were not discussed during the meeting. He said, “Nobody has tabled that in all the discussions we have had. Nobody, I can tell you. Ohanaeze came with a prepared document. They never talked about referendum. They never. They never even talked about secession. 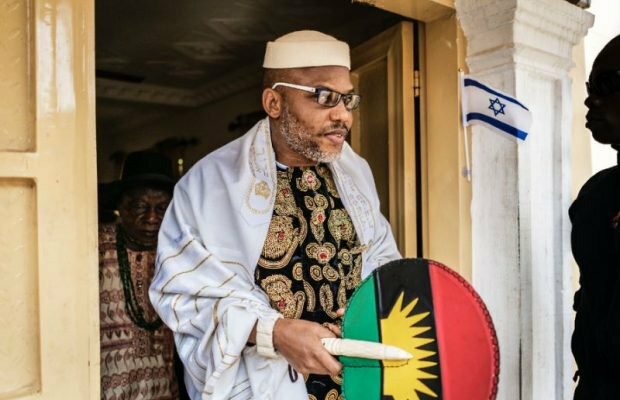 Recall that another Presidential aide, Lauretta Onochie had on Saturday said Kanu was not considered as a South-East leader.